Chances are that this time next year, we’d be treading the IMF’s baseline scenario. For, of course, every Nigerian knows that these people from the Fund have never wished us well. While our governments, on the other hand, have never stopped plighting their troth to the long-term needs of our poor and vulnerable. All of last week, much of the news was given to conversations about the International Monetary Fund (IMF)’s opinion of (and prognosis for) Nigeria’s domestic economy. The Fund did provide enough fagot for the commentariat’s burning fires. Early in March it had released the report of its 2019 Article IV Consultation with the country. Then, last week, it put out the World Economic Outlook, the Global Financial Stability Report, and the Regional Economic Outlook for sub-Saharan Africa. And for both sides of the debate about how competently the economy has been managed in the last four years, there were rich pickings in the reports. For boosters of the incumbent government, it mattered that the Fund raised its near-term expectations for domestic output growth to 2.1 per cent this year, and 2.5 per cent next year. 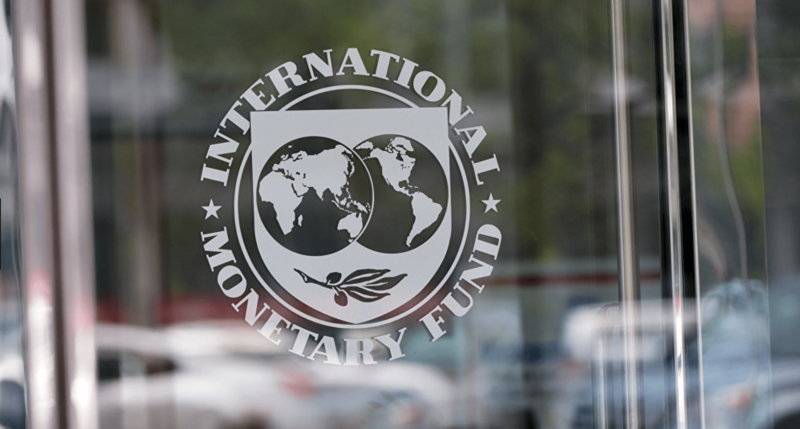 In its January 2019 update to the World Economic Outlook, the IMF had put growth this year at 2.0 per cent, and 2.2 per cent next year. Clearly, on this measure, the Buhari government must be on to something good. After all, despite all the naysayers’ doom-mongering, and reports of the toll that low intensity conflicts in the food-producing belt of the north of the country is having on agriculture, headline inflation has continued to trend downwards. Enough, even for the policy committee of the Central Bank of Nigeria to pare the apex bank’s benchmark rate by 50 basis points — after this rate had gathered dust in the monetary policy closet for more than two years. Such is the new whiff of confidence in the air, indeed, that in a rare coincidence of views on the proper trajectory for public policy, the finance ministry agreed with the IMF that the N1:US$305 at which petroleum imports into the country is financed distorts “economic decision making”. The IMF puts the implicit fuel subsidy (which the Buhari government has now agreed to phase out) in government’s consolidated revenue because of this policy and the regulated pump-station price of petrol at N146 billion in 2017 (equivalent that year to 0.1 per cent of GDP). This rose to N623 billion (and 0.5 per cent of GDP) in 2018. And is estimated to reach N541 billion (0.4 per cent of GDP), N539 billion (0.3 per cent of GDP), N529 billion (0.3 per cent of GDP), and N531 billion (0.3 per cent of GDP) in 2019, 2020, 2021, and 2022 respectively. The government’s promise to gently eliminate this subsidy helped herd far more drivers to the filling stations on Friday, illustrating the difficulties with domestic reforms. Yet, the IMF’s myriad comments on the economy were all about the reforms that we must implement if we are to drive sustainable long-term growth. Such growth is needed to maintain full employment in the face of an annual population growth rate of 3.0 per cent. How much of the reforms needed by the economy ought to be financed by debt? And how much by debt from China? Expectations are that over the next five years, we will need the equivalent of 7 per cent of our gross domestic product to finance the interest payments on the federal government’s debt. The IMF thinks that if we continue as we have, this financing need will be near 75 per cent of the “federal government revenue in 2024, up from 60 percent in 2018”. The Fund is clear on the dangers of Chinese debt. Basically, it is far from transparent. But the Fund also warns that under its baseline scenario, Nigeria’s “public debt-to-GDP ratio is forecast to increase to 35.9 percent in 2024, with more than 80 percent of this increase driven by the federal government”. True, our debt-to-GDP ratio is nowhere near the point at which alarm bells begin to clang. The problem instead is with what the IMF describes as “low revenue mobilisation”. Yet, these are but symptoms of the Nigerian economy’s malaise. The main problem is that the economy is a “crude oil play”. If the IMF’s numbers are to be believed, if you disaggregate the consolidated operations of our government, “total revenues and grants” were equal to 5.5 per cent of GDP in 2016, 6.2 per cent in 2017, and 8.0 per cent in 2018. In 2019 and 2020, the Fund expects this component to be 7.0 per cent and 7.3 per cent respectively of total domestic output. Of the total revenue and grants number, oil and gas revenues were 2.1 per cent, 2.6 per cent and 4.6 per cent of GDP respectively in the three years to 2018 and are expected to reach 3.2 per cent and 3.4 per cent (again of GDP) over the next two years. Revenue from oil and gas export still accounts for a large part of our earnings as a country. About half in the case of total revenues and grants. A lot more in the case of the federal government’s budget and total export earnings. …over the last three years, the average price of our Bonny Light and Qua Iboe blends has risen from US$44.6 per barrel in 2016, through US$54.4 per barrel in 2017, and US$71.1 per barrel in 2018… You could, in order words predict the trajectory of output growth in this economy, simply by looking at where oil prices are headed. And even when the oil and gas sector is less than 10 per cent of domestic output, through its fiscal effects, it drives government spending, net exports, and consumer spending — three of the four components of GDP (business investment being what’s left over) if you estimate output growth by domestic expenditure. And over the last three years, the average price of our Bonny Light and Qua Iboe blends has risen from US$44.6 per barrel in 2016, through US$54.4 per barrel in 2017, and US$71.1 per barrel in 2018. This price is estimated to be at US$61.8 per barrel next year, and US$61.5 per barrel the year after. You could, in order words predict the trajectory of output growth in this economy, simply by looking at where oil prices are headed. • “Revenue-based fiscal consolidation to create space for higher capital and priority spending—including on social safety nets, health and education—while improving spending efficiency and strengthening governance. • “Maintaining a tight monetary policy while improving the policy framework and adopting a unified market-determined exchange rate. • “Enhancing banking sector resilience through strengthened capital buffers and banking resolution framework, credible time-bound recapitalisation plans for weak banks, phasing out regulatory forbearance, and properly assessing asset quality.